Lynda Fox is a new photographer but she is not new to observing and appreciating the beauty and visual excitement of the world around her. For Lynda, the many colors, contrasts and unique shapes found in nature provide visual messages worth capturing with her camera and sharing with others. Her growing portfolio of photos demonstrates her passion and appreciation for nature and landscape, for people, new places and diverse cultures. 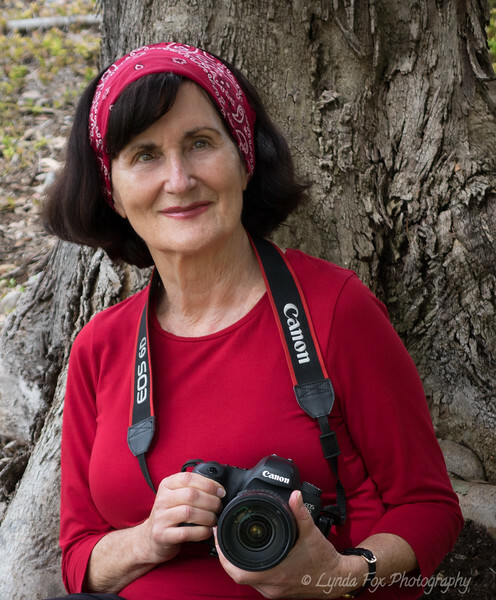 Lynda travels extensively around the world for business and pleasure and has participated in many challenging and visually stimulating hiking adventures as well as photography trips with like-minded participants. Some of her favorite photographic locations include the United States National Parks, Canadian Rocky Mountains, Norway, Switzerland, Italy, Egypt, Israel, China and Peru. When not traveling, Lynda lives in San Diego, California. You can reach Lynda HERE.